Pure, special, rich . . . Like your baby’s first smile. Your baby’s main cream containing milk and wheat flour. 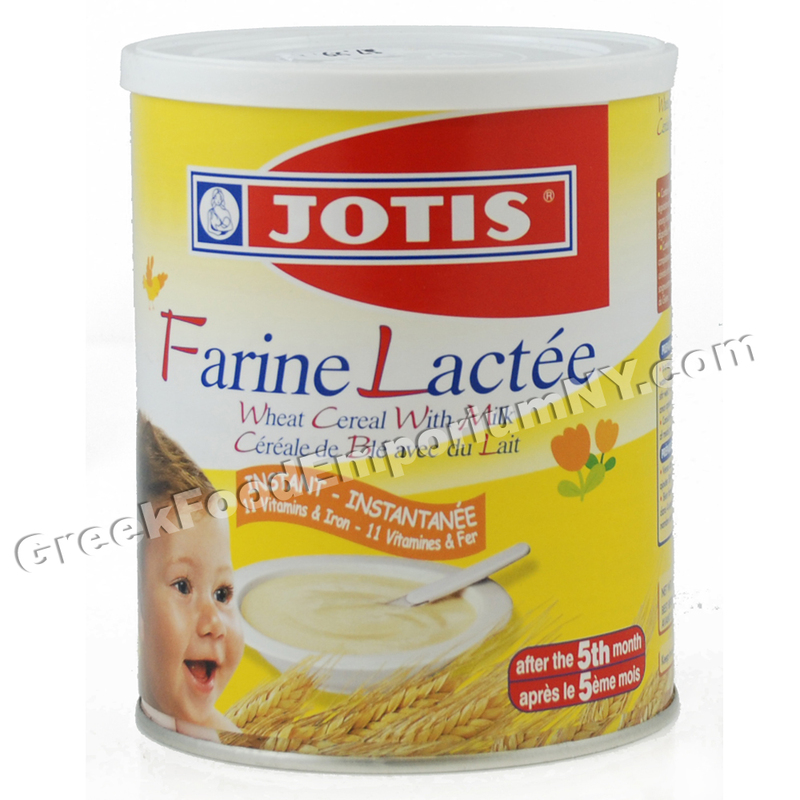 JOTIS Farine Lactee (Wheat Cereal with Milk) is a cream rich in proteins, vitamins and mineral salts. It provides your baby’s organism with all the necessary nutrient ingredients for its proper development. Made with wheat flour from specially chosen varieties of Greek wheat. It’s nutritious and easy to digest. It has wonderful flavor and aroma.